Welcome to the Athens-Clarke County Regional Office of Rid-A-Critter, Georgia's most environmentally-conscious and forward-thinking pest and animal control company. We're proud to be a locally-owned business based right here in Georgia, and we employ wildlife management professionals who live, work, and play in the areas that they service. Rid-A-Critter was established in 2001 with the goal of bringing a new level of professionalism built on a scientific approach to animal control and wildlife management. We built our business around core values of respect for our natural environment, fanatical dedication to customer service, and maintaining the highest standards of quality in the industry. We're both proud and humbled to say that our efforts have paid off. From our humble beginnings as a two-man show, we have grown to become the largest independently-owned animal control company in the Southeastern United States. We've also earned the trust of our customers, have been awarded the Better Business Bureau's highest rating, and have earned the coveted TrustDale certification. This section of our site is customized to our Athens, Georgia Regional Office and concentrates on the animal problems that are most common here. For information about other critters or other places where we work, please visit the main Rid-A-Critter site. Why Choose Rid-A-Critter for your Wildlife Control Needs? There are many companies providing animal removal services in our community, so we understand that we have to earn your business. We're not the least-expensive wildlife management company in the area (nor do we try to be), so we have to compete based on quality. Here are some of the ways that we do that, and some of the reasons why we believe that we're your best choice for animal and wildlife management in the Athens-Clarke County area. Rid-A-Critter is a locally-owned company, not a franchise of a big national company whose headquarters are halfway across the country. We're your friends and neighbors, and we make the decisions right here. But just because we're local doesn't mean that we're small. 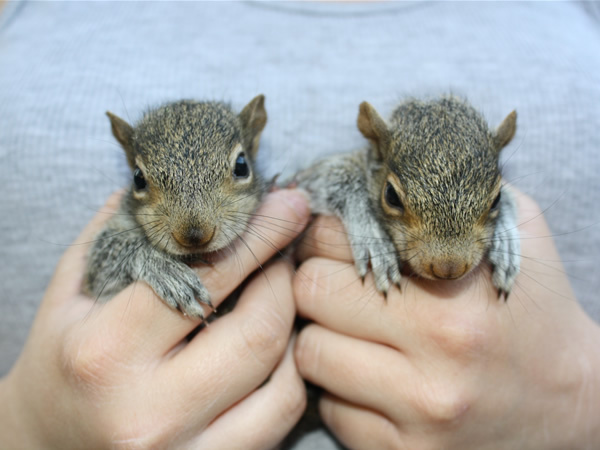 Rid-A-Critter has the personnel, equipment, and resources to handle any animal control job. When we have to, we just call in reinforcement from our other Regional Offices. Rid-A-Critter also guarantees your satisfaction. We have the best warranty in the business, and our warranties are attached to the building, not the owner. That means that our warranties are fully transferable, without any break in coverage, if you sell your home or commercial building. We also strongly believe that businesses have a responsibility to the communities in which they work. We support a wide variety of community organizations, and we encourage our staff to take part in volunteer activities that make our communities better places including volunteer fire departments, EMS companies, and scouting organizations. We also fully support them in these endeavors in any way that we can. All of our employees are thoroughly screened and extensively trained. Rid-A-Critter is also a Certified Drug-Free Workplace. Finally, Rid-A-Critter respects our natural environment. We perform most of our work without using any chemical pesticides at all (although we are licensed to use them when they're needed), and we always treat the animals we trap humanely and with the respect they deserve. Thank you for considering Rid-A-Critter. Please contact us for more information about how we can help you solve your animal control problems. Spending the day in Athens Ga and Lake Oconee with clients. Go Dawgs! Apr 03, 2019 01:58:31 pm. The Athens, Georgia office of Rid-A-Critter provides animal removal and animal damage repair in Athens-Clarke, Greene, and parts of Barrow, Gwinnett, Hall, Banks, Jackson, and Oconee Counties in Georgia, including Athens, Auburn, Bogart, Commerce, Good Hope, Greensboro, Jefferson, Madison, Monroe, Watkinsville, and Winder. Your town not listed? Contact us.